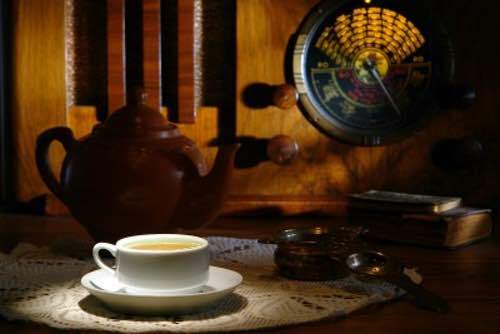 Do you enjoy old time radio nostalgia and listening to OTR broadcasts? 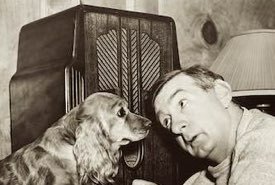 One of my fondest childhood memories is sitting in font of our old console radio with my Grannie Bell and listening to the hilarious antics of "Amos 'n Andy." We'd laugh together till we almost cried. Radio entertained us in ways that television cannot. Our imaginations created the depth of experience. Old Time Radio broadcasts were often the talk of the neighborhood in the 1950s. They were part of the culture of their day. Radio brought the world to your kitchen. An elderly farmer who lived in our farm neighborhood loved to take out his pocket knife and whittle at a stick during his idle moments. I recall Dad asking him one day, "Percy, what are you whittling?" 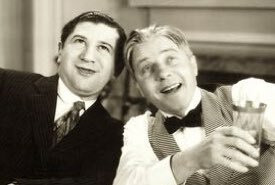 Without batting an eye, old Mr. Price replied, offhandedly, "Spare parts for Charlie McCarthy," and we all laughed. And, of course, the renowned "Fibber McGee and Molly Show" starring the husband and wife team of Jim and Marian Jordan. Who could ever forget the sound of Fibber McGee's hall closet? Although the show made the transition to television, its popularity soon waned. Fibber McGee's closet gag was never as funny on TV as it was on the vintage radio program. Your imagination worked overtime with radio! I often feel that today's more visual style of entertainment leaves too little to the imagination. 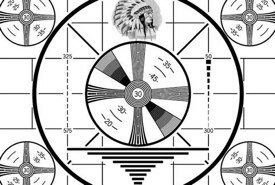 The dialogue, music, and sound effects heard in the Old Time Radio programs relied solely on our imaginations to create a scene that was always more colorful and detailed than a televised image could hope to be. Difficult for today's generation to understand, but it's true. Do you remember the crystal radio? I built one as a boy in the mid 1950s, and it was great fun to move the springy cat's whisker over an iron pyrite crystal to tune in distant radio broadcasts. The beauty of it was it needed no batteries or power source, and I had an old war-surplus headset, plus a length of wire for a simple antenna. It was so much fun to lie in bed at nights and listen to radio shows and music. Remember, this was before the days of the modern transistor radio! Click Here for several articles that show how to build a basic crystal radio using common household objects. 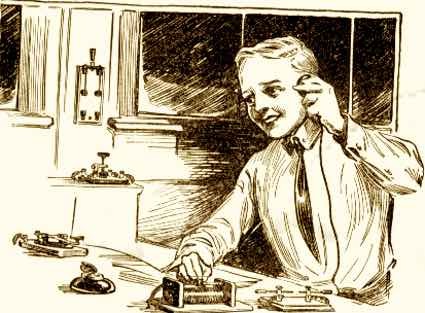 Click on the links below to read articles about Old Time Radio, and the comments received from visitors to this site.